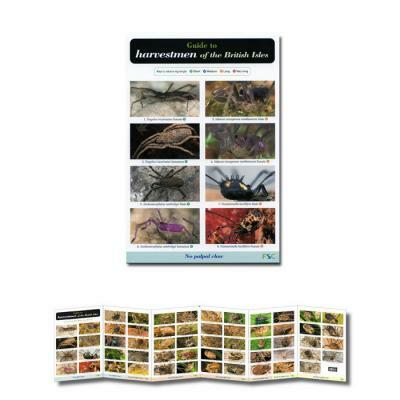 This 12-panel laminated fold-out chart covers the adults of the harvestmen found in the field in the British Isles. Harvestmen are spider-like invertebrates that are most commonly seen in late summer and autumn. Although they have 8 legs, the whole body is fused into one unit, without the 'waist' seen in spiders.